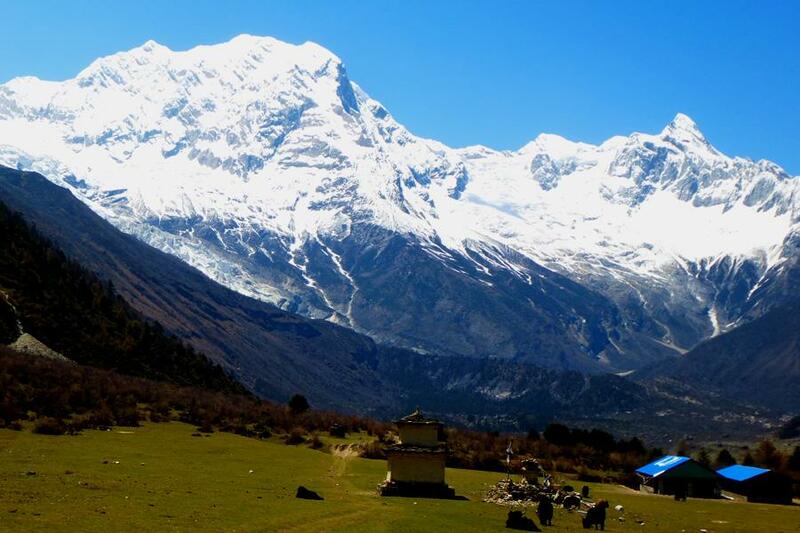 Manaslu Trek goes by the locale of Dhading, Gorkha and Lamjung exhibiting its marvels in transit of your trip. 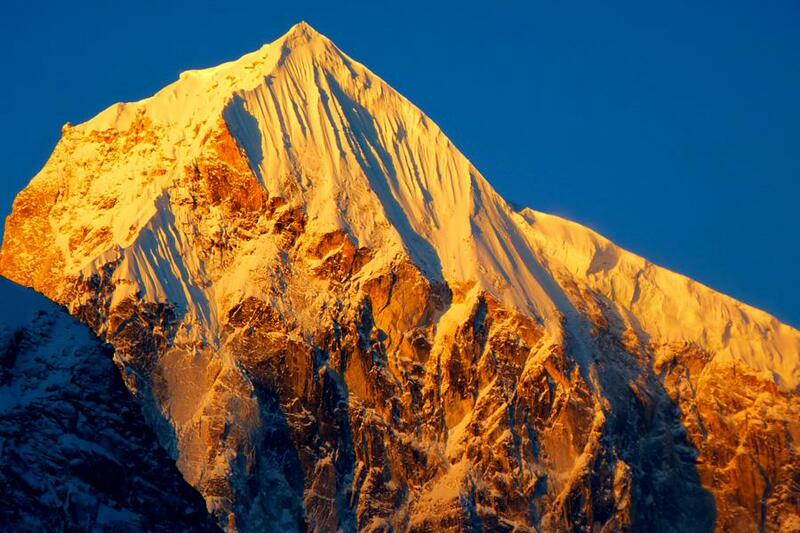 The Manaslu Mountain in itself is the world's eighth tallest mountain and being in its foothill could be loaded with the enterprise. The trekking begins from the beautiful drive to Dhadingbeshi-Aarughat from Kathmandu. Aarughat is the little occurrence town lying in the bank of Budhi Gandaki River associating Dhading and Gorkha area of Nepal. The further transport drive to Soti Khola going by Aarkhet can be exceptionally grand. When you have begun strolling from Soti the meeting of the boundless streams and intersection various circumstances utilizing the suspension connect adds the wild enterprise flavor to your trekking in Manaslu area. 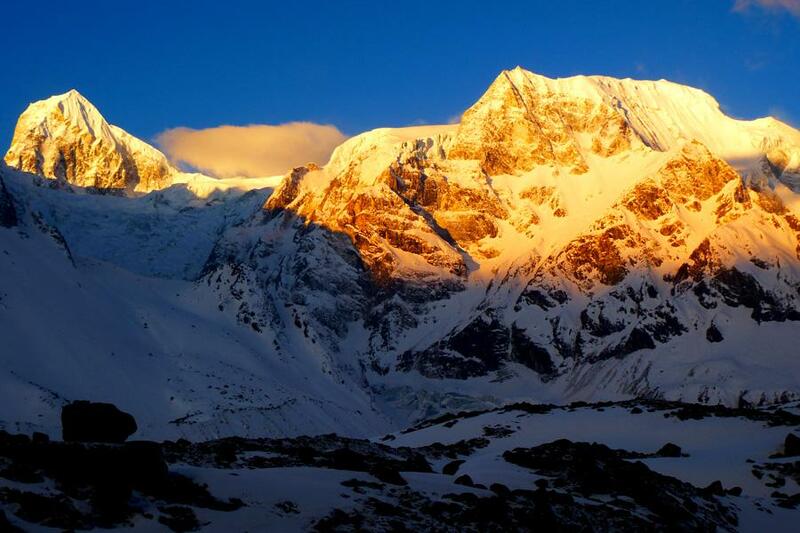 The word Manaslu is exceptionally flawless as it implies soul or acumen in Sanskrit. This mountain loaded with the soul will rub the vivacious soul into your scholarly personality and encourages you to get renewed once you backpedal to your nation of origin. 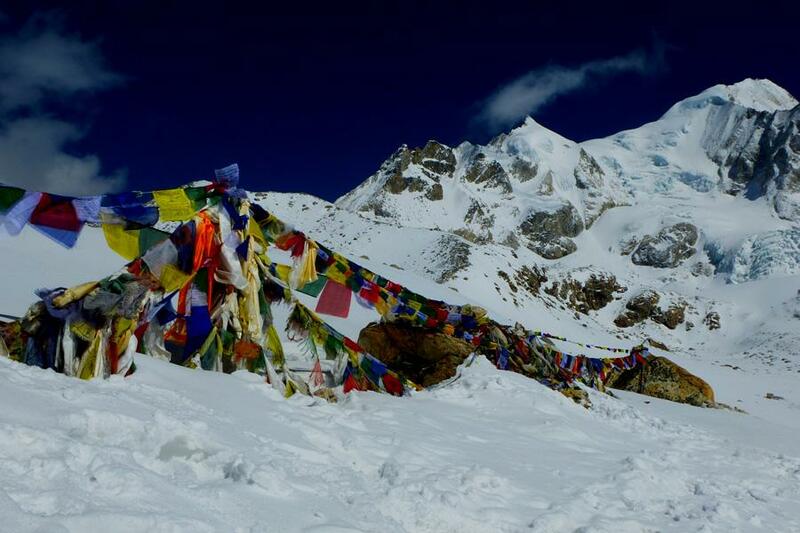 Nearly trekking for 13 days astounding Larkey La Pass will show up in your trekking trail. The trail drives you until the point that the high camp of Mount Manaslu from where you can see the productive mountains extremely closes. From this intersection, the trekking moves towards the Bhul Bule of the Lamjung region from where the transport drive will take you back to Kathmandu. 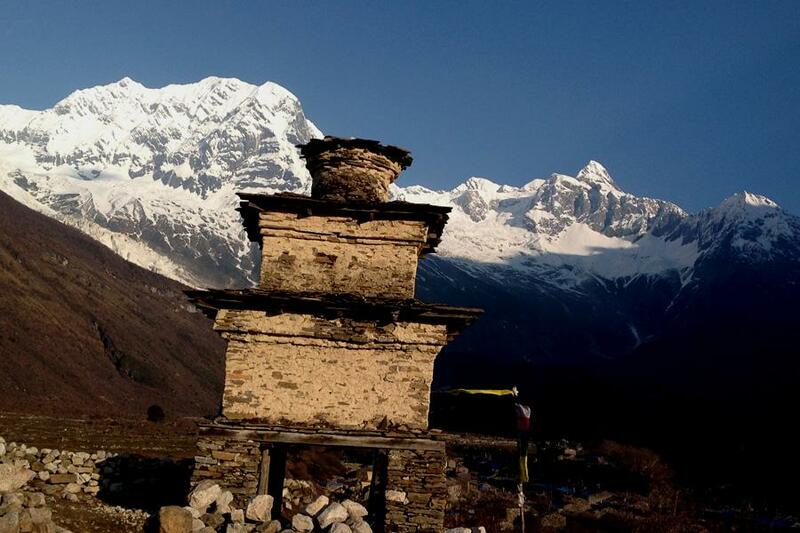 Manaslu Trek in Nepal is the best walking activity where Unique Adventure International would take you in the best infotainment style. This is a direct result of the way that the supporting crew members of Unique Adventure International are hailed from the locale itself. 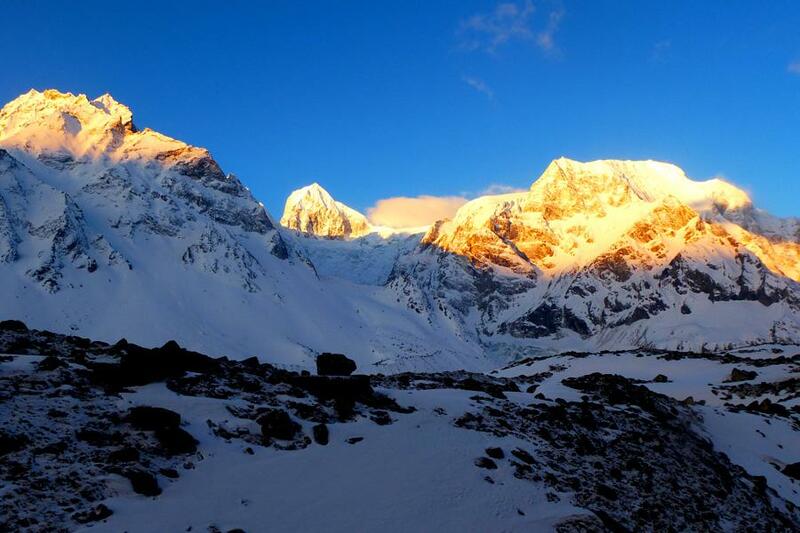 Witness the arranged validness while venturing out with us to this wonderful area of trekking in Nepal. Book this brilliant limited territory of trekking in focused cost with the master group of Unique Adventure International. Your decision to trek on this mystical place around the mountain of spirit will enthrall your traveling soul. On your arrival in Kathmandu, a designated individual will greet you at Tribhuvan International Airport. Then you will be transferred to your hotel where you spend overnight. Today after breakfast, we go sightseeing and explore around Kathmandu Valley. These include various UNESCO worlds heritage sites such as Kathmandu Durbar Square, Swayambhunath Temple, Pashupatinath Temple, and many more. In the afternoon you will be briefed about the itinerary planned ahead to make the necessary preparations. The drive to Aarughat takes about 6-7 hrs from Kathmandu. The journey takes us through serpentine highways along the hills. 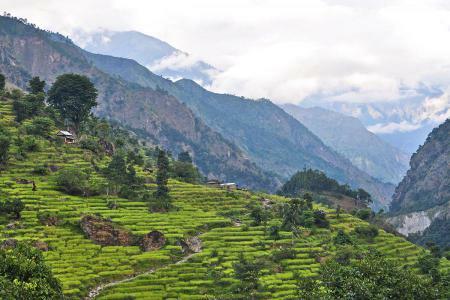 The scenic drive involves various roadside villages before reaching Aarughat in Dhading. We continue to drive about 2 hours to Soti Khola via Aarkhet and spend overnight at guesthouse. The trail begins through green Sal forests that climb over the Budhi Gandaki River. The rocky trail continues past waterfalls and rice terraces before reaching Labubesi village. The trek leads up a valley before descending to Gandaki river and across a suspension bridge to Machha Khola village where we spend overnight. Today’s trek ascends up and descends down a couple of times before crossing over Budhi Gandaki river in a suspension bridge. 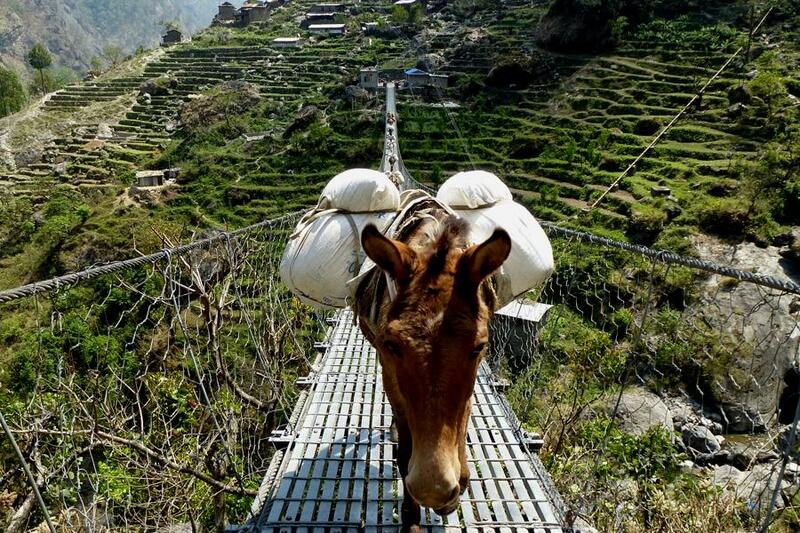 The trail climbs up on the wide staircase which then crosses a suspension bridge over the Yaru Khola. The trail climbs again up to Tharo Bharyang before reaching Jagat village where we spend overnight. Today we descend down to Sirdibas before crossing over Ghatta Khola via the suspension bridge to Philim village. The route continues through millet and grassy field slopes and across the Budhi Gandaki river. The trail leads through a bamboo forest to Deng Khola as we reach Deng village for overnight stay. From Deng we cross Budhi Gandaki river and follow the trail west up to the Budhi Gandaki valley. The trail passes through forests and mani walls to Prok village. The route again takes us through a dense forest before climbing steeply to Namrung. We spend overnight at Namrung at a local guesthouse. From Namrung we climb steeply through a dense forest to reach Lihi village. The trail drops from the village filled with barley terraces and crosses the side valley of Simnang Himal. The route passes along Sho village then Lho village and finally into Shyala village. We spend overnight at a local guesthouse in Shyala village. From Shyala village we continue early in the morning. The trail overlooks high mountains like Himal Chuli and Ganesh Himal. 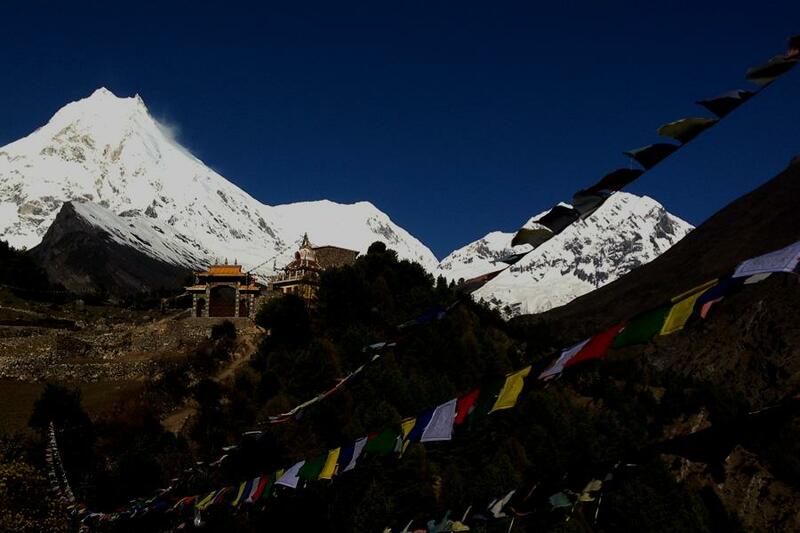 Along the route, we come across Pungyen Gompa on a little hill which provides the great view of Manaslu North Face and Pungyen Glacier. After 6 hours of walk, we reach Sama Gaun. Today is acclimatization day in Sama Gaun. We accustom ourselves to the cold weather and the high altitude for the journey ahead. In order to do this, we explore the village in the morning. Then we go on 3 hours of excursion around the Manaslu Base Camp. We return back to the guesthouse to spend overnight. We continue our trek by descending to the Budhi Gandaki river. 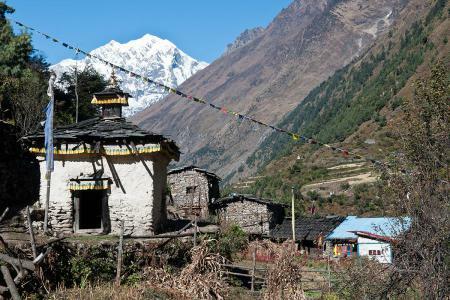 The trail follows north to the Manaslu Base Camp and passes through the dense forest of Kermo Kharpa. We then climb steeply to a large white kani before finally passing into Sambo village. We spend overnight in Samdo village at a local guesthouse. Today we descend down and cross over Budhi Gandaki river via a wooden bridge before continuing upward. We continue our trail that goes around the Salka Khola valley and climbs up to a stone guest house known as Larkya Phedi. We explore around Larkya Phedi before ending our day in a local guesthouse. Today the trek climbs up a valley on the north side of the Larkya Glacier that has views of Cho Danda and Larkya Peak. We gradually ascent along the trail that overlooks Himlung Himal. After 8 hours of walk, we reach Bhimthang village filled with pastures. We spend overnight in Bhimthang village. The trail today descends along the pastures of Bhimthang village and cross over Dudh Khola river. The trail continues through a rhododendron forest that reaches towards Karche valley. We climb over a ridge before making our way to Gho village and finally into Tilje village. We spend overnight at a guesthouse in Tilje village. Today we make our way to Shree Chaur. The trail passes through several villages and over Marsyangdi river. After 6.30 hours of walking, we reach Shree Chaur where we spend overnight at a local guesthouse. Today we drive from Shree Chaur to Kathmandu via Besi Sahar. The 7 hours of the drive includes the scenic view of both hilly and mountain landscapes. In Kathmandu, the day can then be spent by leisurely exploring Kathmandu or by getting a much-needed rest. Day 17: Transfer to airport, departure onward destination. On this day you are free to do as you please until departure. A designated individual will drop you at Tribhuvan International Airport as per your flight schedule. Farewell. Airport pickup and dropoff, upon arrival and departure in Kathmandu. 3 night’s hotel accommodation in Kathmandu with breakfast.  All transportation: Kathmandu – Soti Khola by local bus/jeep, and Shree Chaur - Kathmandu via Bensishahar by local bus/jeep. Well experienced trekking porter to carry luggage (1 porter for 2 guest’s luggage carry maximum 30kgs). Food during the trek (full board with breakfast, lunch, and dinner and with tea/coffee and seasonal fresh fruits). Manaslu Special trekking permit fee. 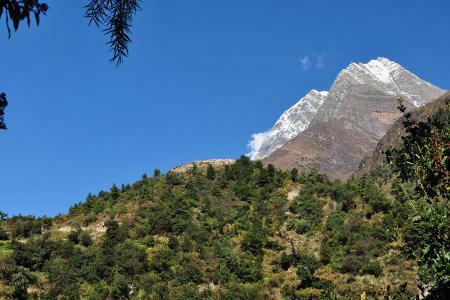 Manaslu Conservation Area entrance permit fee. 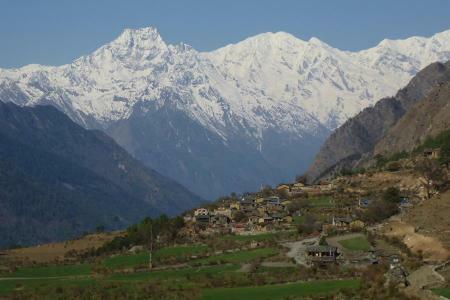 Manaslu circuit and Langtang trek. This trip was organized by Unique Adventure International, Pvt.Ltd, 04-22-October 2010 whose manager is Mr. Khum Bahadur Subedi. The Guide was Lapka Sherpa: the only Porter was Dawa Sherpa. Both these men were with me in 2009 for the Manaslu circuit trek. The other client was Jewel McKee from Alexandria, Virginia, whom I have known since 1998, when we made the trek in Bhutan, with Mountain Travel* Sobek. On 01 October, I flew with United (UA 765) to Los Angeles, in order to join the Thai Airlines flight (TG 795) to Bangkok. After a three hour wait in Bangkok, on Sunday, 03 October, I took the Thai Airways flight to Kathmandu, where I was met by Mr. Khum Subedi, who accompanied me to the Hotel Manang in Thamel. The plan was drive from Kathamandu to Syabru Besi (140km): trek east, up the Langtang Valley to Kyanjin Gompa, return down the Langtang Valley, to Thulo Syabru, and then trek southeast to Gosainkund, and on to Sudarijal, which is only 20km away from Kathmandu. Perhaps because of the proximity of Langtang to Kathmandu, I deceived myself into thinking that this would be an easy trek. It wasn't, each day presented a new challenge of extreme ascents or descents of 500m or more. In addition, the trails were frequently long approaching 20 km on some days. Many days we trekked above 400m. These conditions were not helped by the weather, which was frequently cloudy, including two days of rain. From 11 October, when we climbed Tserko Ri, I acquired a cold that continued until the end of my first week back in Colorado. We are very very happy with them & we will again to visit in Nepal near future. If someone would like to visit in Nepal,Tibet,Bhutan & India contact his website,email or phone as per your interest.